Committee Membership is open to all representatives of National MSK Societies. The ESSR Outreach Program is now very well accepted. 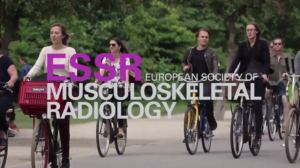 What is ESSR’s offer to national societies or groups of MSK radiology with this program? 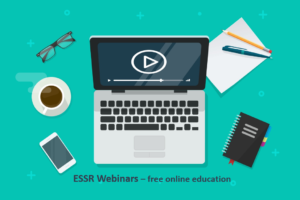 The ESSR Outreach Program was developed to provide education in European countries where the access to teaching in musculoskeletal radiology may be limited by financial or geographical constraints. After a somewhat hesitant start the program has now been successfully performed in several countries and two new courses are already planned for 2019. For the national societies/groups the advantages are twofold. They are supported by the ESSR in conducting a high quality educational course in their own country and at the same time they can promote their organization among local radiologists. We are convinced that the Outreach Program will also enhance the future cooperation between the national societies and the ESSR. Beside the outreach courses, in which way does the ESSR want to support the national societies/groups of MSK radiology? The ESSR strongly endorses the concept of subspecialisation. In many European countries MSK radiology is not yet a recognised subspecialty, and our colleagues might be facing turf battles with other medical specialties or even within radiology. We try to support the national societies/groups in this area of conflict by offering cooperation in a strong European-wide alliance, fostering the exchange of musculoskeletal specialists, increasing their visibility by acting as a partner in national educational and scientific projects, providing a forum for exchange of experience between their representatives and, last but not least, strengthening the personal ties among musculoskeletal radiologists all over Europe. The ESSR has started official cooperation with national societies of musculoskeletal radiology and offers their members reduced fees with all advantages of a full ESSR membership. National societies that already act as official cooperation partners are listed on the ESSR website. Recently, one such national society, the German Society of Musculoskeletal Radiology (DGMSR), held its fourth Annual Meeting in Berlin. What were the highlights at this meeting? The first highlight was the number of participants: this meeting attracted almost 400 people. The congress president, Professor Rainer Schmitt, set up a very interesting educational program with the “wrist” and “spine” as the main topics. It is also important to mention that there was a well-attended scientific session with high quality presentations as well as an ePoster exhibition. The scientific abstracts have been published in a supplement issue of “Seminars in Musculoskeletal Radiology”. For me and many other the absolute highlight of this year´s annual meeting was the lecture on subspecialisation and the history of the British Society of Skeletal Radiologists (BSSR) given by Victor Pullicino. It really touched the hearts of the audience and showed up many similarities between the present situation of the DGMSR and that of the BSSR in its early years. The DGMSR is a very young society. What are the challenges of musculoskeletal radiology in Germany? The DGMSR is a young group indeed. It was founded in winter 2014 and has constantly grown to a scientific society with more than 450 members. With the exception of neuroradiology and pediatric radiology, German radiology has not adopted subspecialisation so far The DGMSR therefore has a difficult role and faces many challenges. The society tries to improve the quality of training in musculoskeletal radiology, to foster scientific work and to convince people that our field should be recognised as an official subspecialty. We believe that a fruitful coexistence of specialized and general radiologists is not only possible but also indispensable for the future of radiology. As an official cooperation partner, the DGMSR is happy to rely on the support of the ESSR on this way.